On the marches, the border between England and Scotland life was difficult. From the earliest medieval times the people who farmed these lands were always at a disadvantage. They were living on the front line of a war that lasted many centuries. Armies from England marched through with regular mayhem, killing livestock and taking what they wanted on their way to battles further north. If that wasn’t bad enough other Scottish clans marching south would often do the same. Of all the clans who lived in and defended the lands that bordered Scotland, few were as indomitable or just plain scary as Clan Armstrong. Their reputation for ferocity grew over the centuries, due in large part to the constant need to defend their territory – practise makes perfect. Clan Armstrong came to be of great importance to the Royal House of Stuart, as Scotland didn’t have a regular standing army, and often relied on the border clans for military aid. The Armstrongs, it was said in 1528, could muster 3000 armed horsemen to the field at very short notice. Milnholm Cross (a sword in a stone) erected circa 1300, is the oldest monument to Clan Armstrong. It commemorates clan chief, Alexander Armstrong, who died at the hands of William De Soulis (of which more below). Today it looks over the peaceful valley of Liddersdale, once one of the most dangerous and lawless places in the British Isles, the Medieval equivalent of Helmand Province. The Armstrong tartan is predominantly green and navy, striped with thick red lines and thinner black lines. Its design can be traced back to 1842, when it was described in Vestiarium Scotorum, published by the Sobieski Stewarts. Photo by Joseph Shelby / Public Domain. The clan’s crest was a symbol of allegiance, used by clan members to show allegiance to their clan chief. The Clan Armstrong’s crest features an arm from the shoulder, armed, in the centre of the strap and buckle, framed by the motto Invictus maneo, latin for I remain unvanquished. Before the 1300s the Armstrongs originated from the south side of the borders in Cumberland, but came to settle in Liddersdale, making Mangerton the seat of their chief. Throughout the borders there was a reiving tradition among those who lived there. Reiving is an old word that means ‘raiding’, and this became necessary to their survival. An Armstrong wife whose cupboard was empty would serve the men a platter of spurs for their supper, which meant: get out there and steal some cattle, we are on the edge of starvation! With the reiving tradition the Armstrong clan developed an extremely skilled horsemanship. To be a border reiver was a young boy’s dream. Much more exciting than being a farmer. It wasn’t just a career for vagrants; clan chiefs and noble families embraced the reiving tradition. Riding out to protect your own and take back what had been stolen was an honourable pursuit. In such a violent place as the marches, it is incredible to think that there were laws, wardens, and codes of conduct. Border Laws, also called March Laws were set up around reiving. For example, if your family had been raided, you had the right to counter with your own raid within 6 days, even across the border. Anyone who happened to wander into the path of this counter-raid had to join in or be considered complicit with the raiders. If you’re not with us you’re against us was the attitude. This counter-raid was termed the Hot Trot, and had to be announced with a piece of burning turf held up high, and with ‘hound and horne, hue and cry’. Sleuth hounds, Scottish dogs bred for the purpose, would follow the trail and horses would pursue. After 6 days it was termed a ‘Cold Trot’ and had to be specially sanctioned. But always the threat of lawlessness and anarchy was present. The laws existed during peace time, but during times of war it was every clan for itself. Such a situation couldn’t remain long within the bounds of legality when blood feuds often motivated the reivers. Protectionism became rife. At the height of their powers the Armstrong Border reivers made Al Capone look like an actual violin player. By 1526, Clan Armstrong seized control of most of the ‘Debatable lands’ and built towers, beginning with Hollows Tower which was built by John Armstrong of Gilnockie. The English deemed this illegal. Consequently, in 1528 the English warden at that time, Lord Dacre, took a small army to attack the area’s inhabitants. As a result, they burned down Hollows Tower. The Armstrong Clan retaliated by burning his home town of Netherby in Cumberland. In the hills above Langholm, the forbidding Hermitage castle was built in 1240 by the Norman knight Nicholas De Soulis, to control the ‘troublesome Armstrongs’. So even then, they were a force to be feared. By 1320 it was in the hands of William De Soulis, who declared his God-given right to deflower the local virgins. He had been getting away with that for a while, but then he made the mistake of ensnaring a prominent Armstrong maid. She was saved by her family and revenge was swift. They captured De Soulis and threatened to kill him. James V inherited his throne in 1513, at the tender age of 17 months, after his father was killed at the Battle of Flodden Field. The country was ruled by regents until 1524 until he dismissed them, and began to rule outright as a boy king. With the feuds raging in the marches, and his uncle Henry VIII of England criticising his failure to stop them, James V needed to take decisive action. Hence, the Armstrong clan was an obvious target to set up as an example. In 1530 James V invited Johnny Armstrong of Gilnockie to have talks with him. They were to meet the Royal hunting party at Caerlanrig. Johnny and his men, not sensing any danger, went out from Gilnockie Tower unarmed and dressed themselves in their best finery, befitting a meeting with a monarch. What the king didn’t tell them was that there was an army of 10,000 men waiting to ambush them. On seeing Johnny and his men finely dressed, the teenage king was alleged to utter with great indignance ‘what wants this knave that a king should have?’ meaning, why are these men dressed like kings? He immediately ordered their execution. He’d had no intention of talking to them. He considered them traitors. Armstrong and his men were hanged. Johnny Armstrong, horrified at this betrayal of trust said before he died, that he had been a fool to ‘seek grace’ in a ‘graceless face’. The Armstrongs clan may have been guilty of many things, but to their proud minds, duplicity, was repugnant. Read more about James V and other monarchs of Scotland here. James V of Scotland. Photo by PD-Art / Public Domain. The gravestone was discovered by a farmer about 30 years ago. While tilling the field he unearthed a large stone with markings on it. The Armstrong Association were informed, as its position opposite Caernlarig Chapel meant it could well be that of Armstrong and his men. Dowsers were employed to begin dowsing at the four corners of the field and slowly walk together. Their rods all reacted at the same spot where, later, an Archeologist found skeletal remains buried beneath. The stone has been re-erected at that same spot. The picture to the left shows the pathway to the stone, marking the mass grave of those killed by James V in 1530. The Armstrongs continued to hold power in the lands of what is now South Roxburghshire. During the reign of Elizabeth I, reivers from Clans like Armstrong, Graham, and Elliot kept up such sustained raids on the south that the English parliament considered rebuilding Hadrian’s Wall to keep them out. Then, in 1603 everything changed. James VI of Scotland ascended to the English throne on the death of Elizabeth I. It was the dawn of a new age, a new United Kingdom. It signaled the end of reiving and a whole way of life for the border clans. The Armstrongs were just one of the targets for James’ euphemistically named policies for the pacification of the Borders. Due to this, all borderers were ordered to become farmers. The worst offenders charged to throw themselves on the king’s mercy for the ‘foul and insolent outrages’ previously seen in the borders (by which he meant reiving). The towers in the debatable lands were torn down and the wardens ejected. Consequently, the area was renamed the ‘Middle shires’ and it became an offence to call them the Borders. Most notably, members of Clan Armstrong, among others, were forbidden to carry weapons or own horses of a higher than minimal value. Certainly, the more expensive light cavalry horses favoured by reivers were no longer allowed. For a culture based entirely on equestrian virtues this was a terrible blow, the end of their cultural heritage. Therefore, Reiver families who resisted these changes were forced from their lands and homes, hunted down, and deported or killed. The goal of James’s policy was to consign the whole reiving tradition to the pages of history. It had no place in the new ‘Jamesian’ world. Today, we would call it Ethnic Cleansing. Many were tried and hanged in Carlisle or Newcastle. Towns like Rowanburn, once strongly populated with Armstrongs, were in a few short years markedly absent of that surname in their town records. By the 1640s any reivers left from the border clans were just outlaws living in gangs and terrorising the countryside. The common people, wanting finally to live in peace, no longer gave them shelter or aid. Today, in border towns like Jedburgh, Hawick, Langholm and Selkirk, the reiving tradition is still remembered. These towns celebrate the annual festival of the ‘Common Riding’, a celebration of horsemanship that brings many flocking into town. This goes back to the 13th Century: local clans would ride around their land boundaries to weed out any encroachment by neighbouring landowners. Though this is no longer necessary, the border towns have kept the tradition alive. The Common Riding is an impressive series of festive events across the border counties, sometimes with events spanning several days. Horsemanship is always at the top of the agenda, in commemoration of those gallant reivers of old who risked their lives to protect their clan. Common Riding event at Selkirk. Photo by Retro junkies / Public domain. With the last of the Armstrong lairds being hung in Edinburgh in 1610, for having lead a raid on Penrith, England, the rest of clan fled the Borders and a lot of Armstrong families settled in Ulster. These days, Armstrong is amongst the fifth most common surname in Ulster. Moreover, since the clan was dispersed in the 17th century, there has been no trace of the Armstrong chiefs. A Famous indomitable Armstrong: Neil Armstrong. The American astronaut and aeronautical engineer was born in 1930, in Wapakoneta, Ohio, is mostly known for being the first person to walk on the Moon. A year after successfully landing on the Moon, Neil visited his ancestral home in Scotland. Neil Armstrong. Photo by NASA / Public domain. 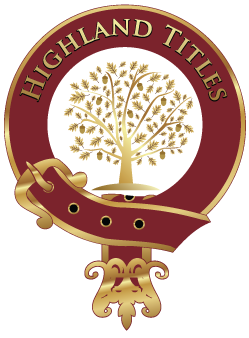 As of October 2018, there are over 310 plots in the Highland Titles Land Register under the Armstrong name. Alike historical clans, our community also share the investment and attachment to the land, our Nature Reserves, and we even have our own tartan and crest. Join the clan by purchasing a plot of land and continue our mission to conserve Scotland, one square foot at a time™! WOW History I was not taught. Please lets have more. Really fascinating – my husbands mother is an Armstrong and one of our children identify very closely with this clan! We are also of clan Donald! You have some quality blood in your veins Louise! Well done. This is the most thorough history of the early Armstrongs I’ve seen. Thank you! on my mothers ancestry the Armstrongs are direct thru her aunty eliza Armstrong who emigrated to Australia or were sent here from Ireland.some of the clan were deported to fermanagh after the wars as Presbyterians,in one clash on the border wars 28 men were killed by English arrows,today, armstrong is a prevalent surname in this part of Ireland,find more on this in the annual gatherings of sports catalogues. I need to come take a visit. My Dad’s side has been traced back to the Armstrong clan of Scotland. I can see where I get my personality from! my Mother and Grandfather are Armstrongs and I hope to find out more about her side of my family. As a result of the betrayal of clan Armstrong by James V and James VI, is there lasting enmity between Clan Stuart and Clan Armstrong? Thank you so much for this history! A proud Armstrong, I am. American born but Scotland is in my heart & my veins! We live near Preston, close enough to the Borders to visit easily. The lands aroundJedburgh feel like home. My wife and I have two daughters and three sons, all of whom are very fiercely proud of the clan. My daughters, who both live in Germany, have refused to give up the name and, like the rest of the family, close ranks at the slightest thing. I think it’s in the blood. I spent 30 years with Police, 25 of them with horses on the moited branch. By sheer coincidence I was a Skill at Arms champion, winning the Wilkinson Sword of Honour at the Royal Tournament 5 times. Thank you so much for the information on this site! I have been researching my ancestry for several years and some of the bits and pieces of a few stories have been solidified! I am a direct descendant of the Lairds of Mangerton Castle as well as Johnnie of Gilnockie. Johnnie of Gilnockie is my 12X great-grandfather. I am leaving the US soon to visit Scotland, Mangerton Castle, and the surrounding area. I am excited to see the beautiful land of my ancestors, but saddened to be at the place where they lived such a difficult life that often ended in a horrific death. Invictus Maneo! James V and V1 were treacherous, incompetent and foolish Kings. They betrayed the Border clans. James V1 conducted a campaign in the Borders that today would be described as ethnic cleansing. After hundreds of years of loyal service to Scotland the people of the Borders were treated in this way is contemptible and a blight on both Scotland and especially the House of Stuart. James V1 initiated union with England that was a disaster for him and Scotland. The English Parliament played with him. His son Charles 1st was executed by the parliament and within a few generations the English were rid of the Stuart royals altogether. But the English owned Scotland and still do, it is a subject country. Essentially James V1 divided his own country and helped England conquer it. Well done! England has impoverished Scotland, closed their industries and relegated the population to social security to survive. They are dependent on English hand-outs, treated as second class citizens. The English Royal family has a great time at their Balmoral Estate every year. James VI of Scotland was James I of England and it’s too simplistic to blame the English for everything that Scotland feels has been done to them. As a Canadian first, of Scottish descent for which I’m very proud, we can’t go through life pointing fingers and laying fault. Over 700 years of heritage cannot and should not be encapsulated into a few sentences. We carry our past is our heads and our present in our hearts….who knows what our future brings. Teaching our descendants to be good caring people is our sole job and holding onto grudges is not part of that. The history of Scotland and England has brought us to today; the relationship has evolved and will continue to grow, expanding their future into what they want. I’m 74 and a visit to Scotland is the last item on my bucket list not completed. I’m hopeful I’ll make it but to all the other Armstrongs out there……hi cuss! Thank you so much for the comprehensive history of my clan! My father was very proud of his heritage…to honor that I kept my name when I got married…to a Graham no less! I’m a teacher in Wisconsin at an elementary school called Cumberland. Ironic, right? I visited the lands of my ancestors in 2007 ,I attended a gathering of the Armstrong Clan in Lockerbie,what a wonderful experience to walk upon the land of my ancestors and visit Hermitage castle .I wept when I had to return to Australia.This is the best summary of the history of the Armstrong’s that I have read.Invictus Maneo.Thank You. Thanks for this great history. I am aware that I have a relative common to both sides of my family Armstrong/ Nelson and Bryant / Cranston and that one of my relatives was in the grenadier guards. I love this history, but am sadden by the death of so many Armstrongs at the hand of King James V, and King James VI. My ancestry has been traced way back, and I Johnnie of Gilnockie is my 13x great- grandfather. Reading this I it made me laugh at times, and sad a bit too, but I can surely see where some of my personality come from. Do not mess with an Armstrong, because that fierceness is still there. I have never been to Scotland, but hope to see it before I die. My great grand father Jack Armstrong migrated from Scotland to Cote D’Ivoire as a British Merchant over 100 years ago. I’m so keen to know if l still have any surviving relatives. I need help to trace my ancestors. As a direct descendant from my father’s side, this is the most fascinating discovery I could make. Using ancestry helped a lot. Kids used to tease me that I’m related to Neil Armstrong, because of my last name. But now I know, I really am! Invictus Menao. I am descended from the Armstrongs on my mothers side. After reading this post, I can definitely see that I have inherited the tendency to resist conforming, fight for what is right and not back down even when the odds are against me – NOW I know where I got it – all hail the Armstrongs! My mother and sister visited Scotland last year and were fascinated. We always laugh about sharing these same personality traits. My cousin traced our name back to the clan (circa 1400) days but, he may have taken some leaps of faith. We do have solid info about our recent ancestors. Our closest proven information is from the early 1800s and shows our family in Georgia. We eventually migrated to Texas in the mid 1800s (post civil war) and have been there ever since. We have always wondered if our family was sent to Georgia as convicts. Georgia (like Australia) was at one time supposed to be a penal colony. The narrative certainly fits the history and treatment of Armstrongs. Has any work been done on whether the Armstrong clan was treated as such? That is the story we tell, true or not. As my dad said, real Texans do not let the truth stand in the way of a good story. Hard to find proof of where my family heritage is from. Outstanding research and a great story to boot. I and my three children are redheads as are most of my cousins. When I had skin cancer a few years ago the consultant saw my name and hair colour and said I have Celt and Viking DNA. Explains a lot about my temperament. My mom ws an Armstrong on her dad’s side. She said that her cousins were 6’5″ or over, blond, blue or green eyed and broad shouldered. She also said that we are direct descendants of the Armstrong clan. My grandfather was either from Edinborough or Glasgow; I don’t remember. He must have descended from the ones who decided that there had been enough marauding; time to be respectable. I also grew up believing that the description of how an Englishman looked was actually Viking. Weren’t we related to Robin Hood and tht that was part of the reason that they were finally killed of? Like in the family going totally rogue, didn’t that create a Robin Hood type who was an embarrassment to the crown? I read that the Armstrongs were given their own kingdom by the King of England in exchange for protecting the border and that they ended-up mixing family-wise with the Royals….back then. Thank you for this. As I continue to research my lineage (which potentially seems to lead directly to Johnnie Gilnockie Armstrong),I continue to be amazed that my father Merle was an accomplished racehorse jockey and rather a character that would have for rightin with the personalities and culture of our Reiver relatives. I’m so eager to learn more. My grandfather was an Armstrong but sadly the family do not have any other information, so this has been extremely interesting. Perhaps his forefathers came from the Border areas. My father’s family were/are Cunningham and while we all thought we came from Scottish descent, it seems that we may have come from Irish descent. So love Scotland and Ireland. Of the MIDDLE MARCH Clans; Armstrong, Elliott, Nixon, and Crozier, though of Gorrenberry, Scotland, at the time family left 1607, Gorrenberry was neither of the Kingdom of Scotland or English, so my heritage is of The Borders, the land between the two kingdoms, and my loyalty is strongly with the major clan of the Middle Marches. Since the Elliott seem to be claiming Scotland, and I claim Middle March kinship because family left in 1607, today I am an Armstrong, descended from the Armstrong and Elliott of Gilnockies day and apart of that gallant company. Our Armstrong lineage is currently in central Ohio as well as NW Ohio. Interesting to read Linda Weber’s post “I can definitely see that I have inherited the tendency to resist conforming, fight for what is right and not back down even when the odds are against me – NOW I know where I got it – all hail the Armstrongs!” I can relate. Justice runs through my veins. My grandfather was in the farming business (IH dealer in NW OH); my son interested in horses & the Armstrong history. He recently purchased bedding from Eddie Bauer = Armstrong tartan. I’ll be incorporating the Armstrong tartan plaid (wrapping paper) into a painting for him. Theme will be Scottish landscape, tartan plaid + Celtic tree. History is not separate from who we are today. The Armstrong Sword in Stone; The Armstrong’s Milnholm (miln-mill, holm ‘fairly level bank’) Cross, is christian because the IHS on it’s from represents Christ, on the Cross. The crack in your illustration above shows where the shield with the arms was added around 1880. I love reading these comments! I also share these qualities with my sister and several cousins. We don’t hesitate to stand up for ourselves and others and my dad (Robert Armstrong) and his brother (John Armstrong) were ornery and opinionated in the best possible ways. My dad did a lot of genealogy and traced our American lineage back to 1740, when Archibald Armstrong came here from Scotland (I think from Ulster) and set up a trading post near Rome, New York. He fought in the French and Indian War. Archibald had nine children, and his sons fought on the American side in the Revolution. The Armstrong family stayed near Rome, where my grandfather, Walter Armstrong, was born. He moved to Columbus, Ohio— WWI vet, and had three kids. My dad and uncle, WWII vets, and their younger sister. I have read so much British and Scottish history, and am so proud to be an Armstrong. I visited Gilnockie Tower in 1992, when it was still privately owned. I’m bringing my daughter back this summer— we are both so excited to see the inside of the tower and the museum! This is very interesting reading. I am so intrigued by the Armstrong history. My gg-grandmother was Catherine Armstrong who was born in Enniskillen, County Fermanagh, Northern Ireland in 1843. Her dad was John Armstrong, and this is probably why I am having issues researching the Armstrong family, as I believe there are numerous John Armstrong’s!! Catherine married John Morrison on 13th May 1867 in Omagh, County Tyrone just prior to emigrating to New Zealand. If anyone can help with websites that I can search would be very helpful. Take Care all you Armstrongs’ out there. Hi as we have no clan chief is there anyway to make a claim to be chief?